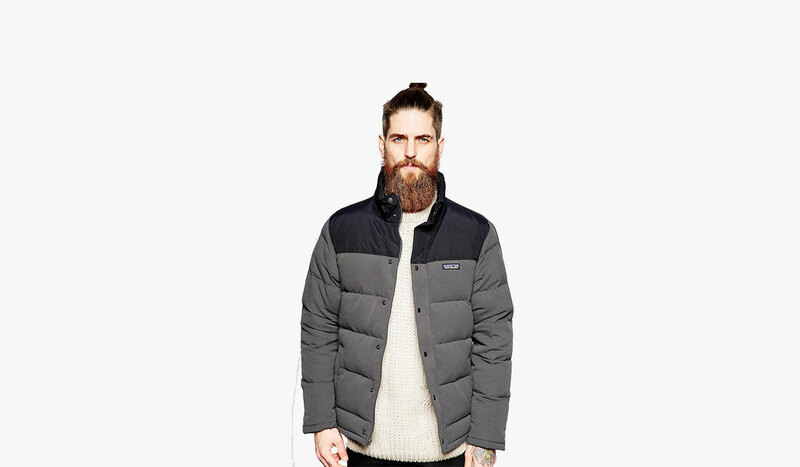 10 OF THE BEST DOWN JACKETS | muted. When the temperature starts to plunge, and you need to stay warm, a down jacket will give you the protection you need. With different styles for wearing around town as well as hikes into the wild, here are 10 of the best down jackets on the market. 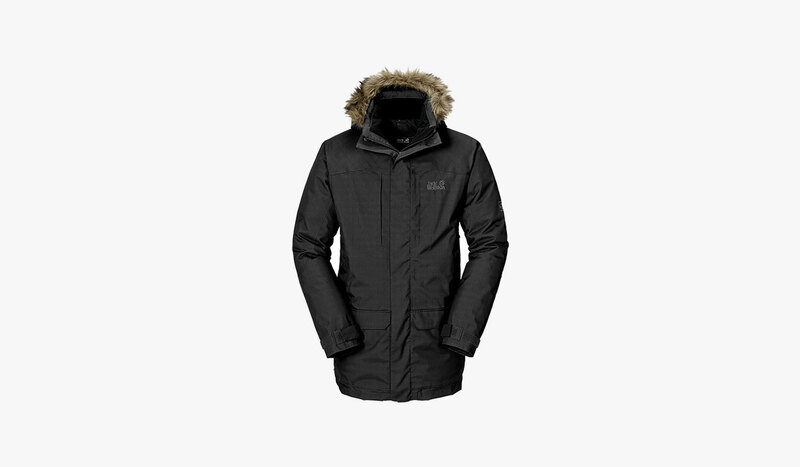 If you need a coat that’s perfect for the coldest conditions, the Jack Wolfskin Anchorage Parka Mens Jacket ($361) will keep you toasty even when it’s freezing. The breathable outer combined with duck down insulation result in a jacket that is soft, thick and warm without making your feel uncomfortably sweaty. A lightweight design featuring a detachable hood plus fleece cuffs and a snow skirt for additional protection against the elements. Practicality is a major benefit on this down jacket too, as there’s four main side pockets plus an inside pocket, two chest pockets, and even a secret hidden pocket too! 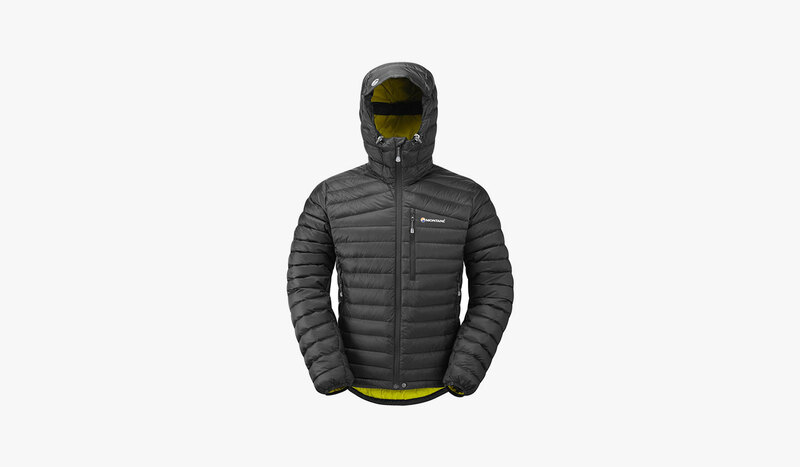 One of the most versatile outer layers you could purchase, the Montane Men’s Featherlite Down Jacket (2014) ($269) is great all year round. It’s particularly lightweight but with the down insulation it provides excellent warmth and protection. You can choose to wear it either on its own as a top layer on cool evenings or layer up with other thermal clothing to provide the ultimate protection in exposed conditions such as on mountains. This down jacket compacts down to the size of an orange so you can easily stash it in your backpack without taking up much space. A padded woven fabric and funnel neck make the Patagonia Bivy Down Jacket ($239) warm, comfortable and waterproof. A concealed zip fastens the jacket with added protection from poppers. Inside there’s a brushed jersey lining for softness, and it’s conveniently machine washable too. You won’t need to take a wild stab in the dark at what size to order as this collection is true to size so you can be confident it will fit like a glove. A particularly warm glove. 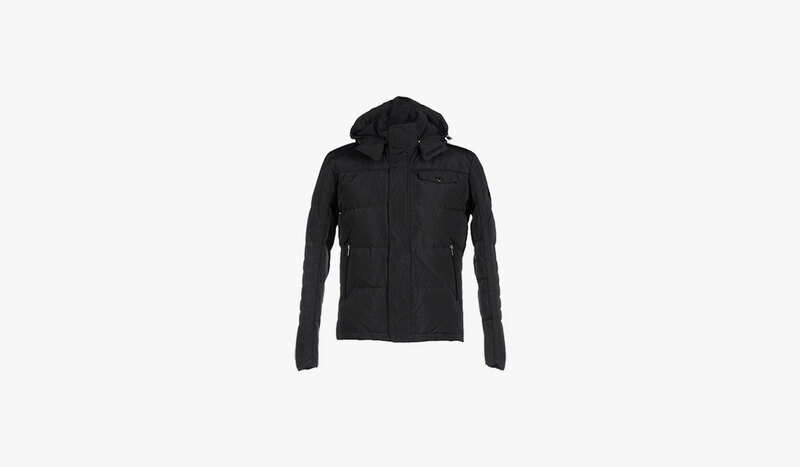 Designer clothes can be practical too, and this Calvin Klein Collection Down Jacket ($600) looks stylish and chic but provides excellent warmth and protection as well. A single-breasted design, there’s a goose down interior while the outside is quilted plus bears the famous CK logo. Multiple pockets and a turtleneck complete the overall look. Wear when you need to stay warm in cold conditions but don’t want to compromise on classic good looks. If you’re a fan of the sporty college look, you’ll love the Franklin & Marshall Goose Feather Varsity Down Jacket Black ($220). 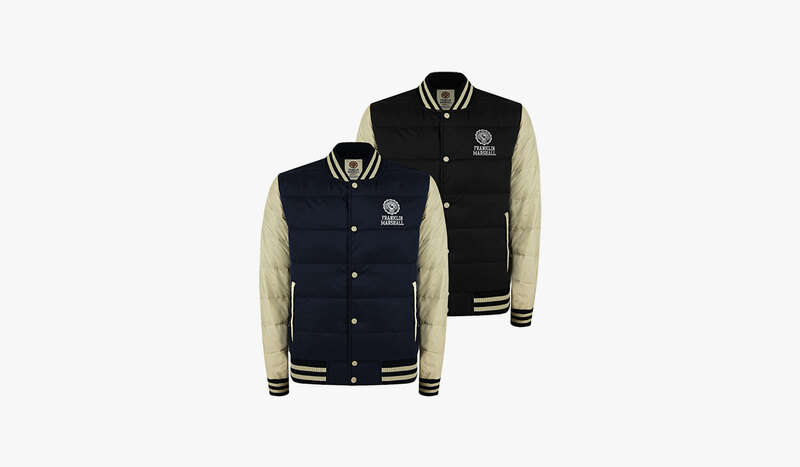 A traditional Varsity jacket but this one will keep you warm on even the coldest day courtesy of the goose feather padding. This insulation is incredibly effective without being heavy so you won’t feel bulky or experience limited movement. Don’t wear this jacket for long hikes in the wilderness as there’s no hood for protection, but it will keep you comfortably warm on those icy winter morning or cold nights. When you’re planning an outdoor adventure the Fjallraven Greenland Down Dark Navy Man ($458) will keep you warm and protected wherever you go. 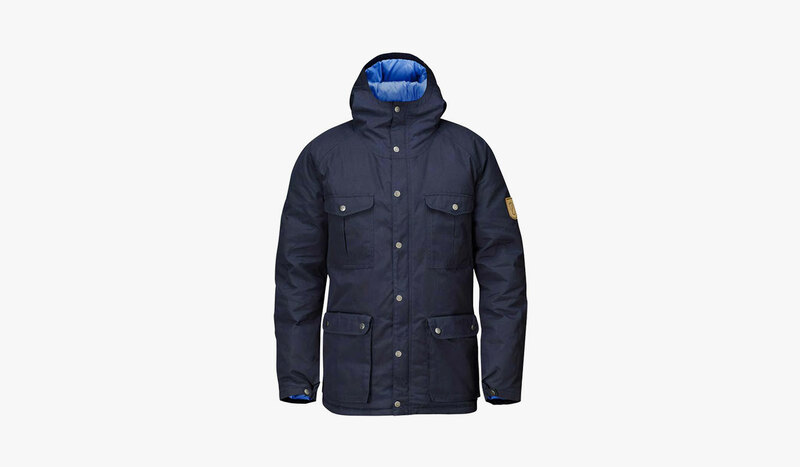 With Fjallraven’s fabric, the G-1000, the jacket is one of the strongest and most resistant shells it’s possible to buy. Filled with 80% goose down and 20% of feathers this jacket is also windproof and can be worn during rain showers too. Extremely lightweight, even if it gets wet, it will dry far more quickly than regular fabrics. Even cold conditions can result in searing sunburn, but the UV qualities of this jacket provide protection against UVA and UVB rays. For those concerned about the ethics of wearing down, Fjallraven has a strict code of contract. Meaning they only use down procured as a by-product of the food industry with the plucking of live birds strictly forbidden. 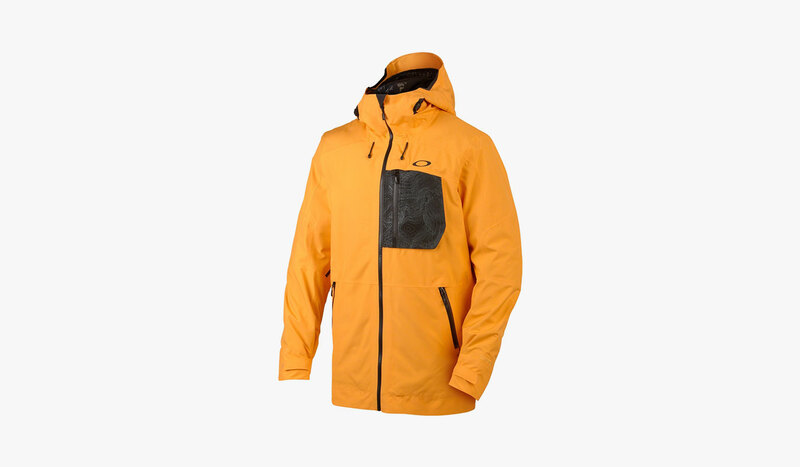 For extreme adventures, the Oakley 453 Gore-Tex Biozone Down Mens Jacket 2015 Bright Orange ($259) will keep you warm and protected from the elements. The protective qualities of the Gore-Tex exterior combined with the warmth of the down insulation result in a jacket that withstand even the harshest of conditions. Fully taped seams, ventilation and multiple pockets for practicality complete the design. 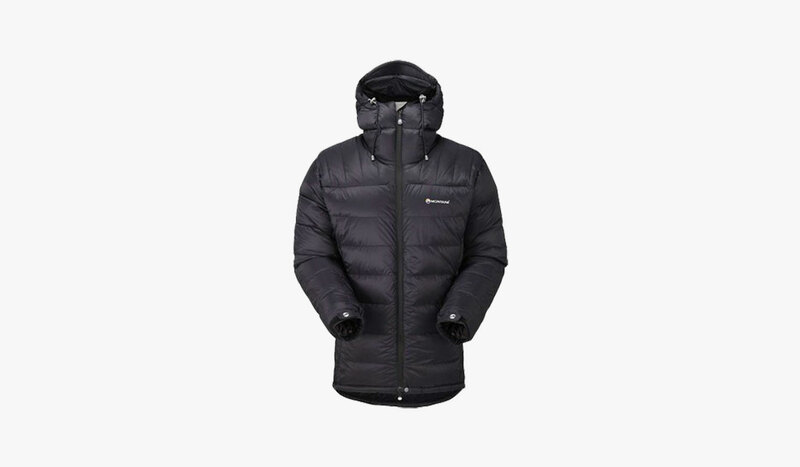 The Montane Black Ice Men’s Down Jacket, XL, Black ($379+) feature a weather resistant outer combined with thickly insulated padding. Goose down of the highest quality provides the warmth while the long line design provides protection even on expeditions in the harshest outdoor climates. Waterproof, windproof, breathable and insulated, the Montane Black Ice Men’s Down Jacket is for those who need the ultimate protection. 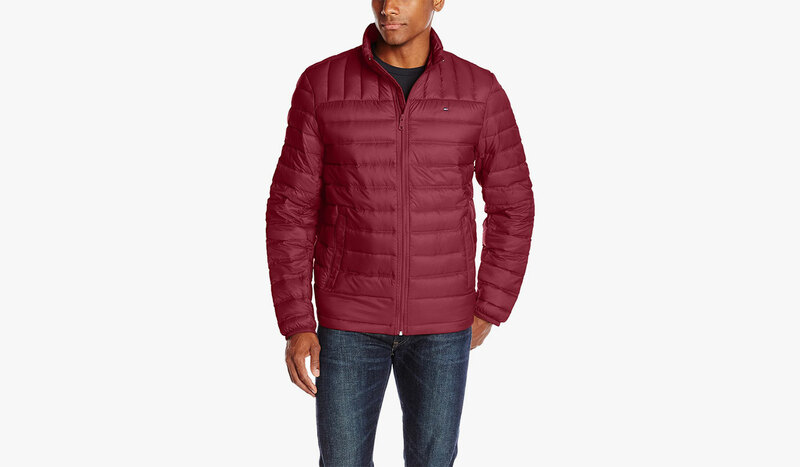 A short length Nylon design, the Tommy Hilfiger Men’s Packable Down Jacket ($72) is warm and down feather padded and is ideal for colder days. With the Tommy Hilfiger logo at the left chest, a standing collar, and multiple pockets, this zip-up jacket will keep out the elements very effectively while offering practicality too. Machine washable, it’s a stylish choice for the man around town who wants to look good while staying warm. 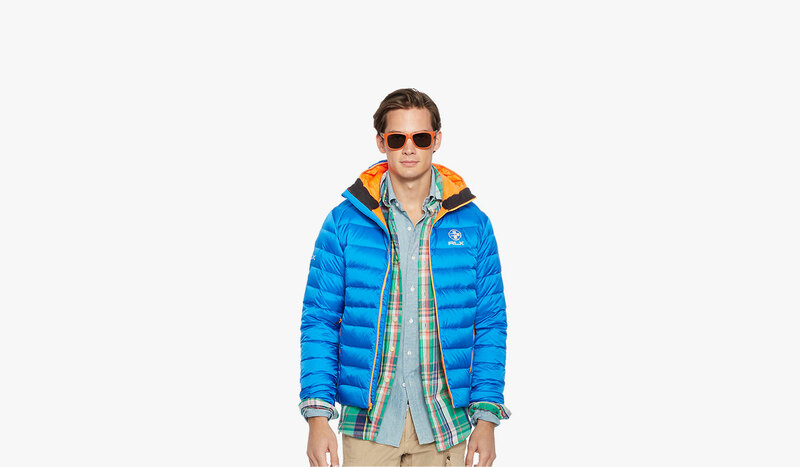 A particularly lightweight design, the Ralph Lauren Water-Resistant Down Jacket ($225) combines athletic style with practical convenience. The shell is water resistant and the inner has soft, warm down filling, and there’s a fleece lining at the neck for extra comfort. A shorter hip-length style, this jacket is perfect to slip on for short journeys when you have to face the cold and the rain outside.